You should be comfortable in being upside down on the pole, at least in tricks like cross knee release or similar, and should at least be close to getting a dead lift invert and have been trying tricks like superman. For this level you should be working on more advanced moves like handsprings, shoulder mounts and combinations of tricks on the pole. Have that one trick that just won’t happen? Keep getting your thighs stuck on your way into Superman and it feels like you will fall face first? Or is handspring one of those things that seem so achievable but yet, it just wont stick? Perhaps a dead lift invert or chopper is just super heavy, but kicking up and doing tricks while you’re up there works fine? This is the class to find those special little cues and tips that will make you feel ”AHA!” and find the last piece to your mental and physical puzzle in you favourite tricks, or to get those basics flawless so they won’t steal negative attention away from all your awesomeness. For the beginner level Spin class you should be comfortable in one armed spins such as fireman or similar. For intermediate spin class you need to be comfortable in more advanced spins like reverse grab or two handed back spiral / corkscrew. In this workshop we will go over spin technique on static pole. Even how to work on and improve that scary, slipping grip! We will learn new spins and how to combine the ones we already know in new and creative ways and also how to keep stamina and be able to get cool effects in your spin combos. You will walk out of this class feeling like you are ready to fly! This workshop can be made into either separate beginner and/or intermediate class or a mix of the both, depending on the number of participants. The level of difficulty within the class will vary. Similar spins and combinations can be done for different levels within the same group if needed. This workshop will be from intermediate level and up, you need to have a solid dead lift invert/chopper and should be working on more advanced tricks from there, being fully confident in being upside down as well as staying on the pole with few few points of contact. This workshop will be based on an intermediate level for safety reasons, if you are a more advanced student feeling comfortable in moves such as handsprings, shoulder mounts etc. please let me know by the beginning of class or via e-mail at the time of your booking so I can make sure to add extra challenges. Just can’t decide? Then this is a great combo workshop! Just as in a regular class, this workshop will contain a combination of spins and tricks and fun ways to combine them. The workshop will be adapted to the participants and any specific requests/strengths/weaknesses to make sure everyone walks out with new inspiration and challenges, as well as the feeling that it will be achievable! 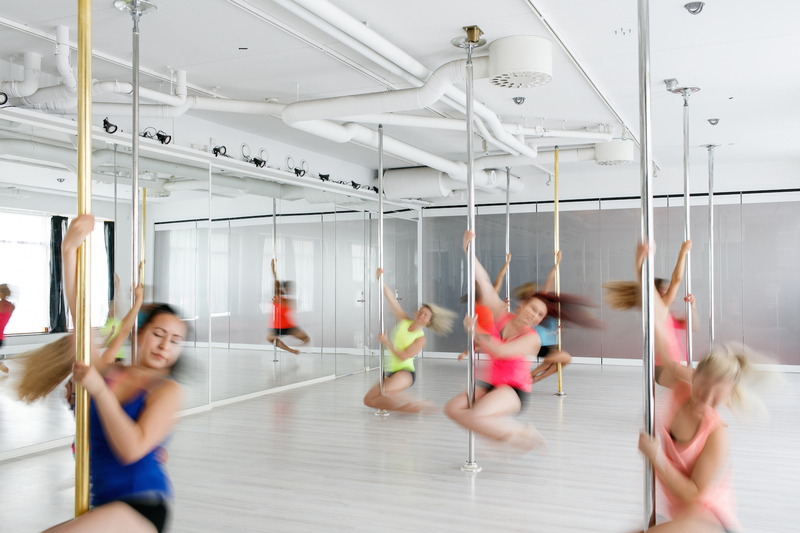 Taking a class for a new or different instructor is always rewarding and this is your chance to take a signature class from one of the absolute most experienced Pole instructors in Scandinavia. Don’t miss out! Feet on the ground! For the beginner choreography we will work with spins, walks, moves and floorwork around the pole rather then up on it. Usually, these choreos can be done in pants. For intermediate choreography class, at least a solid chopper and sits on the pole are required. This workshop can be made into either separate beginner and/or intermediate class or a mix of the both, depending on the number of participants. The level of difficulty within the class will vary. If you are a teacher, this is the workshop for you to improve your teaching style! I will help you look into common mistakes and how to be an expert at trouble shooting when your students get stuck. I will give you great examples of new and experimental cues to help you help your students get to the next level safely.